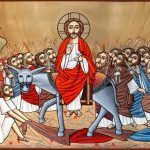 Last Sunday, 8 April 2018, saw the Coptic Church celebrate the Feast of the Resurrection. As is customary, Pope Tawadros II presided over midnight Mass on the eve of the feast, at St Mark’s Cathedral in Abbassiya in central Cairo. The Cathedral is undergoing extensive renovation and is getting a new set of icons and murals to mark 50 years on its opening; the work is near completion for a celebration to be held later this year. 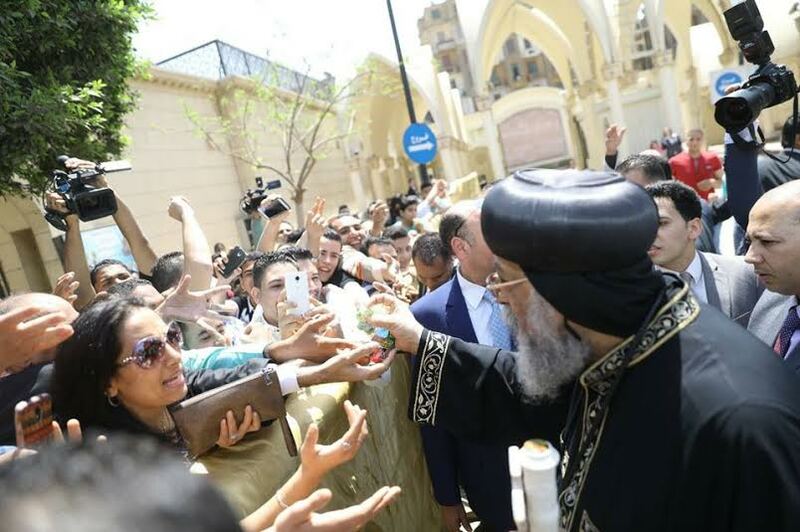 The following day, the papal headquarters at St Mark’s opened its doors to droves of well-wishers who came to wish the Pope and the Coptic congregation a happy feast. Many of the visitors are officials and high-ranking figures. But before the Pope met any of them, he headed to the courtyard to shake hands with members of the congregation who had converged on St Mark’s for the same purpose. And even before that, he had in person met the police guardsmen responsible for the security of the cathedral grounds to thank them for their efforts and take photographs with them. 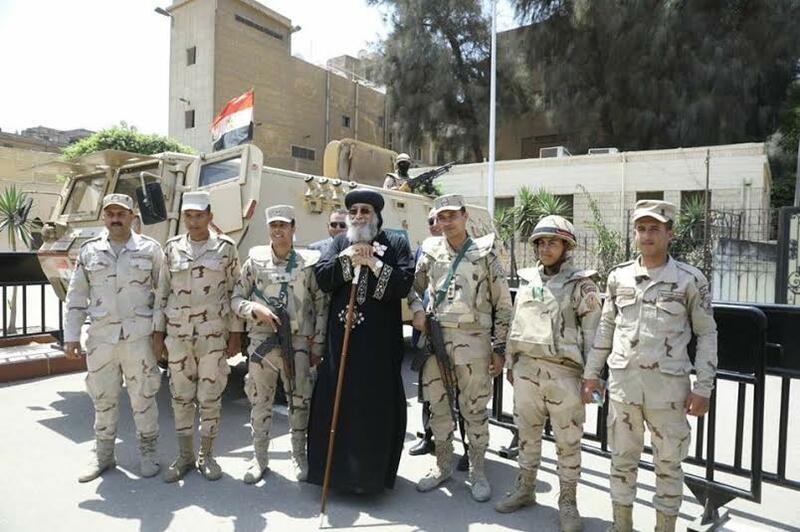 Six years into his papacy, Pope Tawadros has firmly established himself as a people’s pope. This should have come as no surprise; the Pope’s outstanding characteristic is a personality that exudes love and warmth. 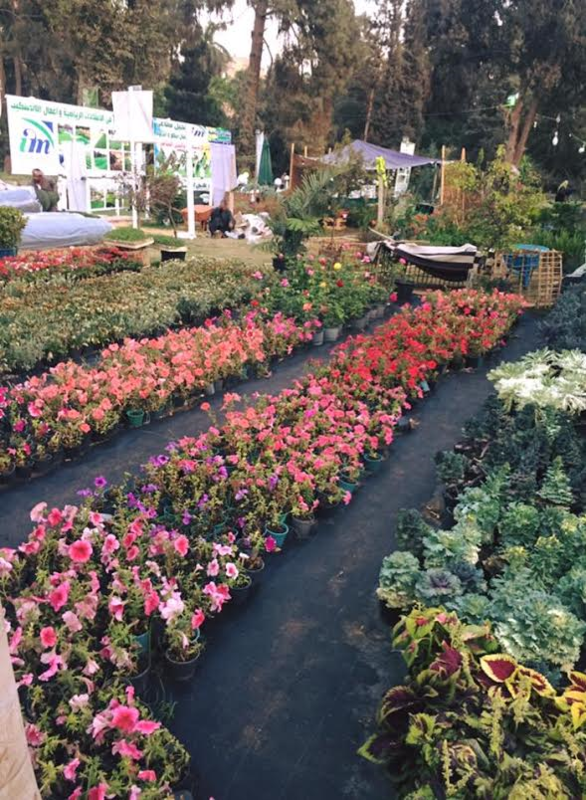 He is spontaneous and caring, upbeat, reaches out and does not stand on ceremony. Egypt’s public and officials have come to fully realise that. Increasingly, the Pope has been invited to speak at public events, always gaining his audience’s love and appreciation. Watani today gives a roundup of the Pope’s public presence at events which took place during the last few months. 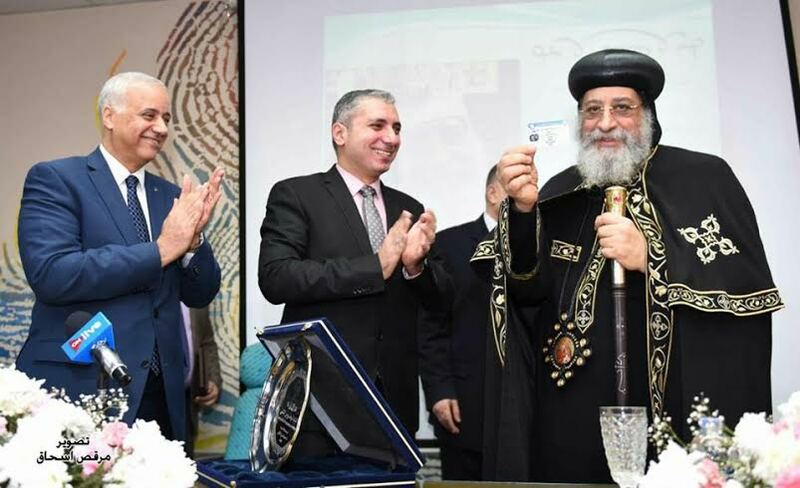 Pope Tawadros II, a graduate of Alexandria University’s Faculty of Pharmacy class of 1975, was in December 2017 guest of honour of the university’s celebration of its diamond jubilee. On hand to welcome him was President of Alexandria University, Essam al-Kurdi; participating in the event were Alexandria Governor Muhammad Sultan and Minister of Higher Education Khaled Abdel-Ghaffar. The Pope said that Alexandria held a very special place in his heart, smilingly reminding his audience that he bore the title ‘Pope of Alexandria’. 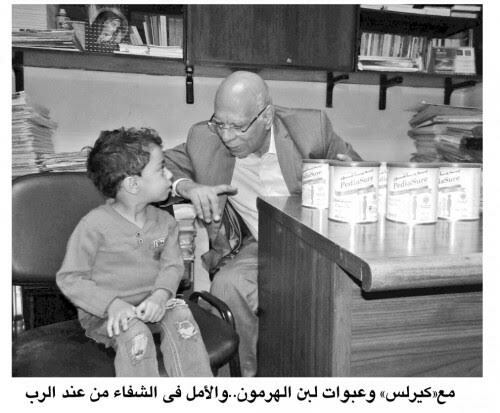 He spoke of education as the key to life, change and success; and said he fondly remembered his student years at the Faculty of Pharmacy which he was proud to have studied at. 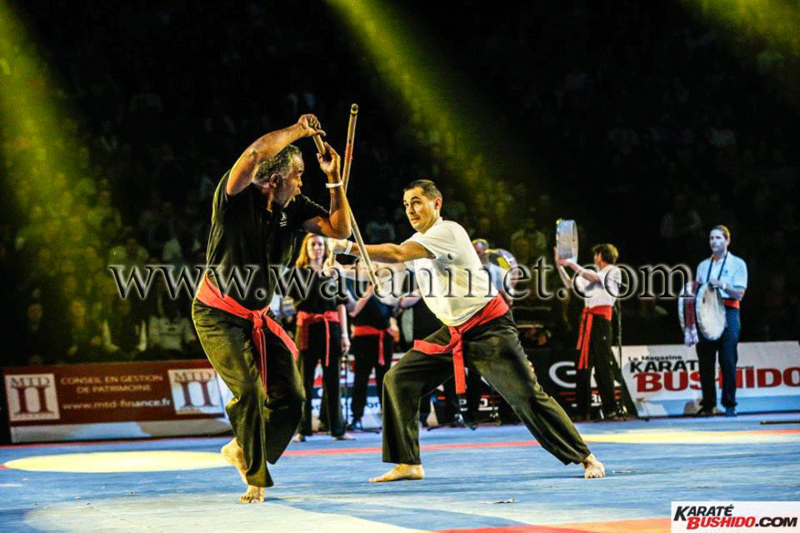 “It taught me discipline and accuracy, two important keys to success,” he said. 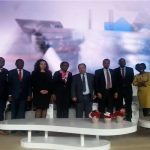 At the close of the event, Dr Kurdi presented Pope Tawadros, together with other prominent graduates of Alexandria University, with the university shield. 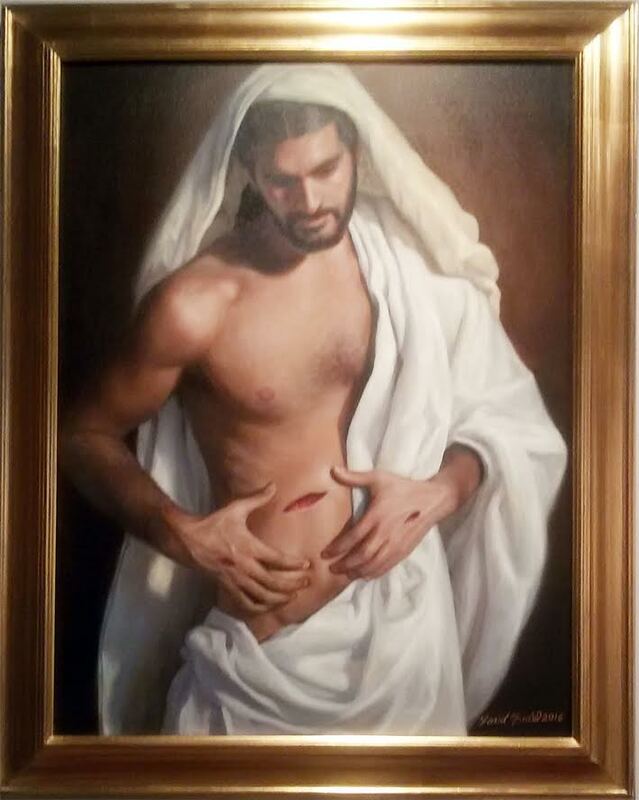 He handed the Pope a gift from the university students: a portrait drawn for him by members of the School of Fine Arts. 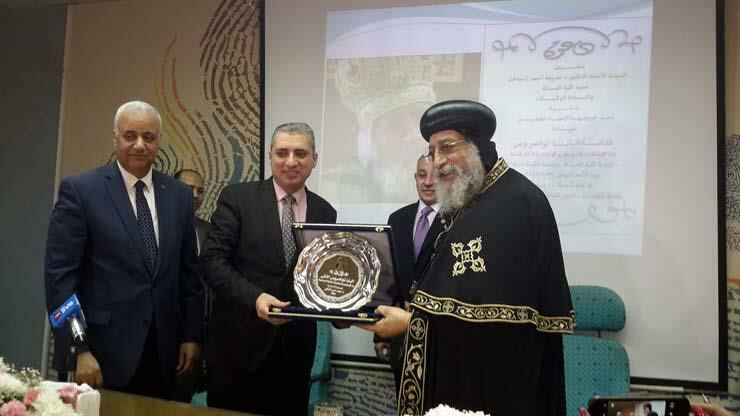 Less than a month later, Pope Tawadros was hosted by the Faculty of Pharmacy at Alexandria University. This time, however, it was the Pope who asked to visit Alma Mater. He said he would like it to be a class reunion, but would also care to address the new generation of students. Dr Kurdi happily complied, and a visit was arranged for 21 January. Dr Kurdi welcomed the Pope; with him was Khadiga Ahmed Ismail, Dean of the Faculty of Pharmacy; and Muhammad Onsi al-Shafei, head of the Pharmacists’ Syndicate in Alexandria. The Class of 1975 was there, as well as current students. “I come here filled with pride,” the Pope said, “and with gratitude to all who taught me. They taught me not only pharmaceutical sciences but numerous virtues through word, deed, and faithful advice. Pope Tawadros was honoured with the shield of the Class of 1975, also the shield of the Pharmacists’ Syndicate in Alexandria. 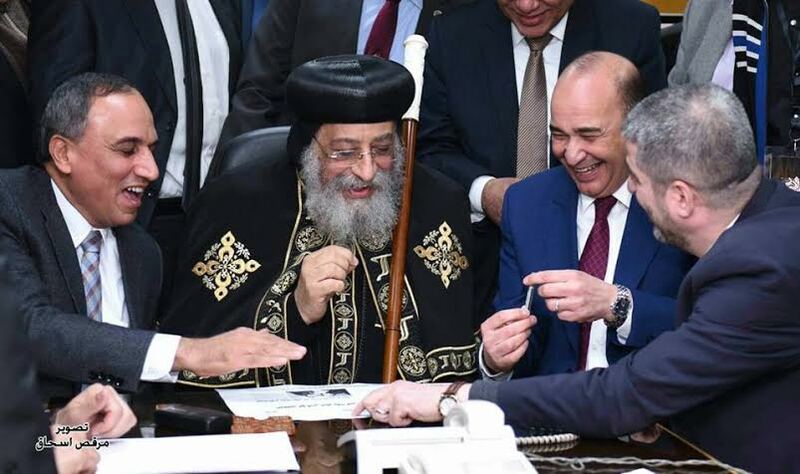 Dr Shafei, handed the Pope his 2018 syndicate membership card, saying the Pope has always been keen on maintaining his membership in the syndicate. 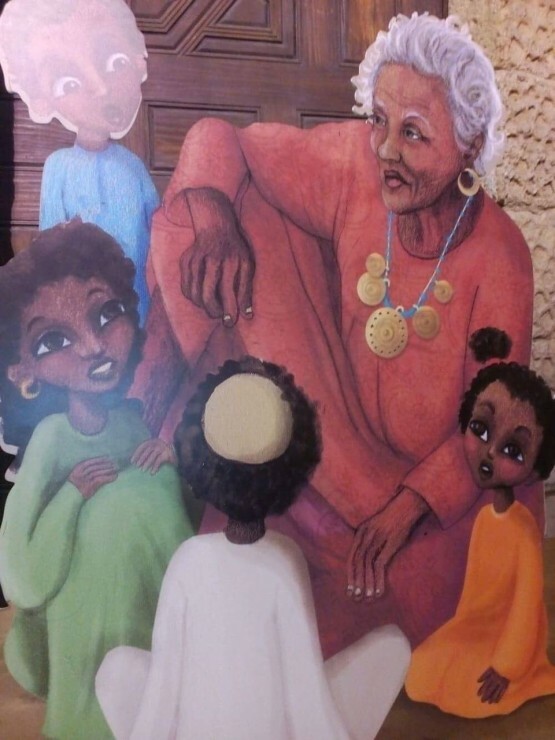 The Pope presented Dr Kurdi, Dr Ismail, Dr Shafei, and his classmates with a number of gifts, including paintings, done by artist nuns, of the Holy Family in Egypt. 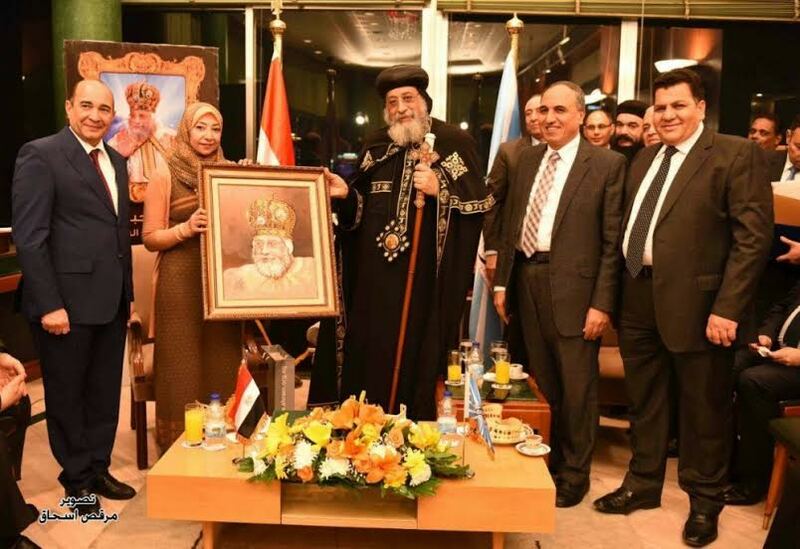 On 25 February 2018, Pope Tawadros was invited to visit Ain Shams University in Cairo, one of Egypt’s most prestigious State universities. The Pope took part in the university’s annual conference on youth, held this year under the rubric: “Youth … Creating the future”. 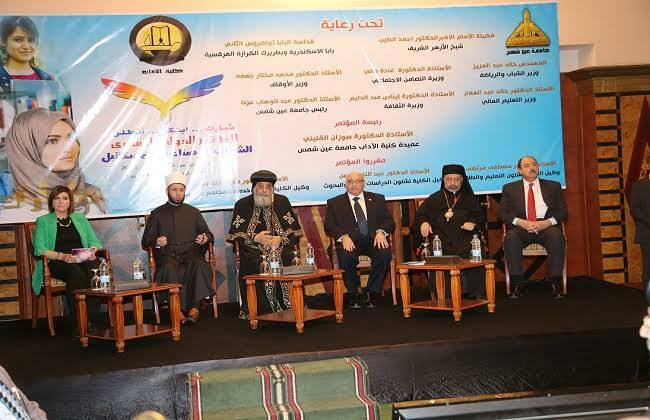 Participating in the conference were University President Abdel-Wahab Ezzat; Anba Ibrahim Ishaq, Patriarch of the Coptic Catholic Church; Dr Usama al-Azhari as representative of al-Azhar scholars; Muhammad Abul-Enein, Egyptian businessman and Chairman of Egyptian-European business council; and Suzanne al-Qellini, president of the General Investors Department of the General Federation of Commerce Chambers, and member of the National Council for Women. The Pope talked about Egypt’s youth, a topic close to his heart, and on which he had talked earlier that month while on a visit to the Bibliotheca Alexandrina in Alexandria. 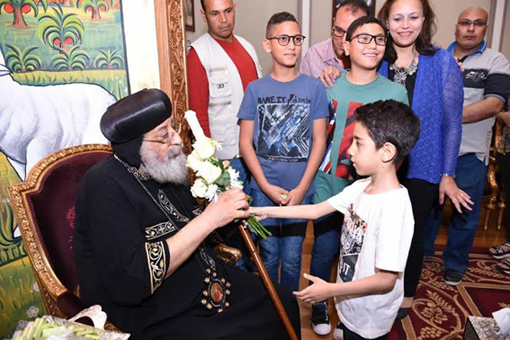 “Young people indeed represent the future of the nation,” Pope Tawadros said. “As such they are of utmost importance; so much so that back in 1980 the Church created the Youth Bishopric, a special body that intimately interacts with and handles all issues concerned with and of interest to young people. On one front, that of sports, the Youth Bishopric collaborates with the Ministry of Youth and Sports to organise sporting events. 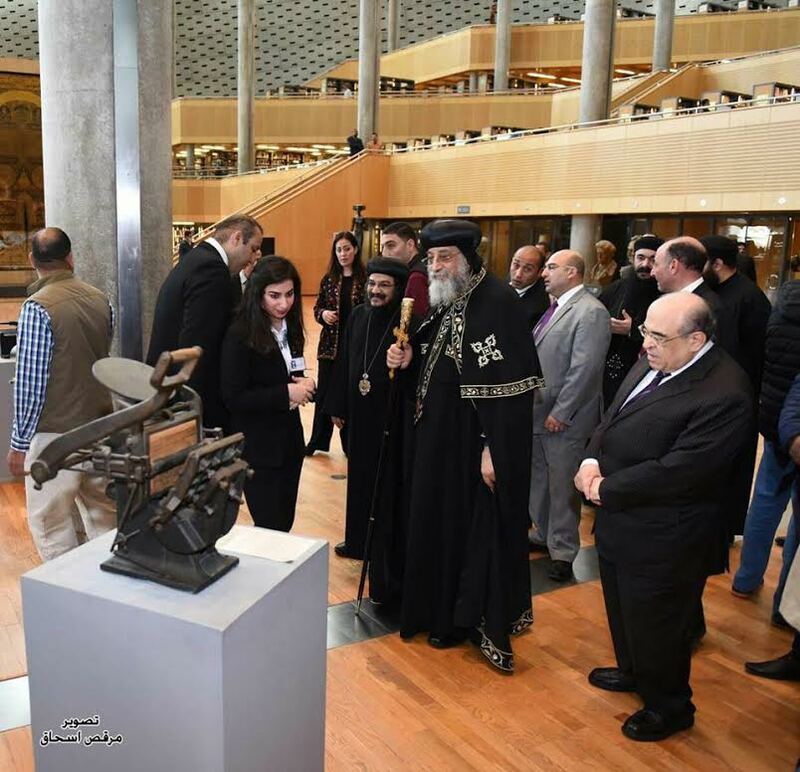 A few days before speaking at Ain Shams University, Pope Tawadros II had paid a visit, his first, to the Bibliotheca Alexandrina (BA), Alexandria’s gem of a library that was founded in 2002 to emulate the legendary Library of Alexandria which thrived from the 4th century BC until it faded some time in the 7th AD century. The modern BA has worked to regain the magnificent reputation the ancient library enjoyed of intellectual, scholarly and enlightenment fronts. Pope Tawadros was received by the BA Director Mostafa al-Feki and a delegation of high-level Bibliotheca officials. The Pope and his accompanying delegation toured the BA’s museums and exhibitions, and visited its famous restoration laboratory. He took time to converse with the Bibliotheca employees and workers. 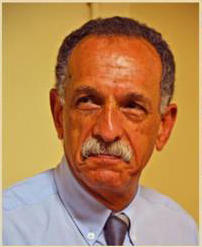 He then wrote a word in the BA’s guest book; Dr Feki, who was looking on, smilingly commented that the Pope’s handwriting was beautiful; and that the page on which the Pope wrote would be included in Zakirat Misr (Egypt’s Memory), the quarterly magazine issued by the BA to document all aspects of Egypt’s modern and contemporary history. Joint projects between the BA and the Church came under the spotlight. 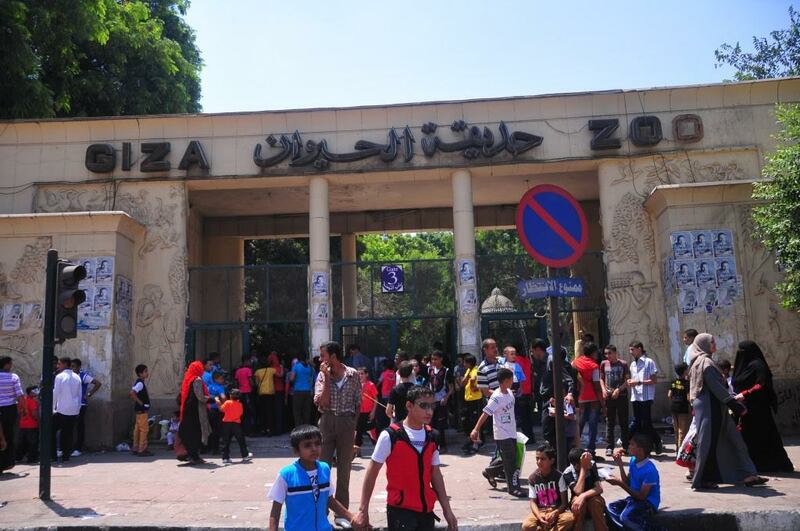 Among these was the projected “museum of religions” to be established in the Palace of Khadija in Helwan, Cairo. 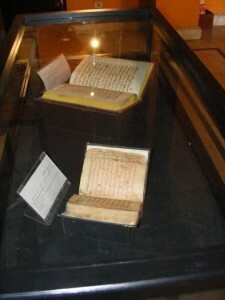 “This museum will be an exceptional one,” the Pope remarked, “and the Coptic Church will generously contribute material pertaining to Coptic history and heritage.” Egypt’s desert monasteries, he said, many of which thrive since the third and fourth centuries, have acted as repositories of that heritage and have preserved an immeasurable amount of it. 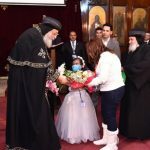 Another first was Pope Tawadros’s visit to Al-Ahram on 23 January 2018. 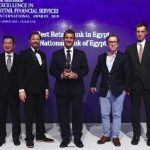 Al-Ahram is Egypt’s topmost daily newspaper; it was founded by the Levantine brothers Selim and Bishara Taqla in 1875, and is today State-owned. 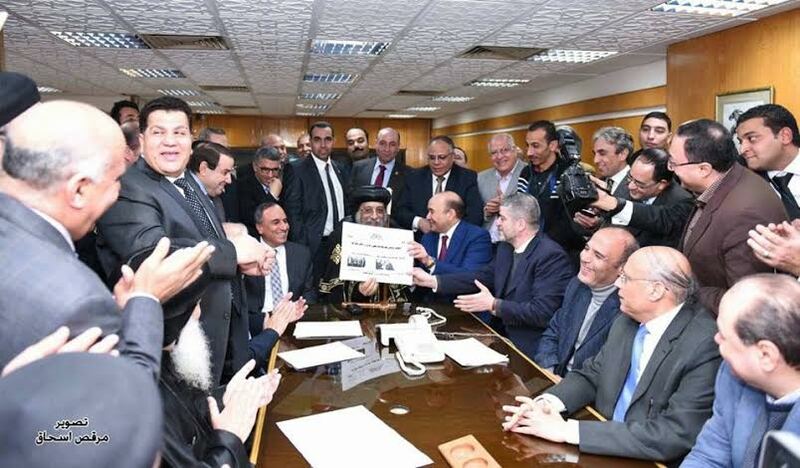 The Pope was invited by al-Ahram to open an exhibition that displayed the first two editions of the paper together with relics that marked the history of al-Ahram throughout close to one-and-a-half centuries. On hand to receive the Pope and his accompanying delegation were Abdel-Mohsen Salama, Chairman of the Board of al-Ahram and Head of the Journalists’ Syndicate, who led the Pope to the newsroom on the fourth floor where Alaa’ Thabet, Editor-in-Chief of al-Ahram, warmly welcomed him. Pope Tawadros met the journalists and conversed with them. Mr Thabet said: “We here deal with the Pope not only as a religious symbol, but as an Egyptian patriot. We can never forget his words when he said: ‘A homeland without churches is better than churches but no homeland’.” Mr Thabet was referring to the Pope’s words in the wake of a vicious spate of nationwide church-burning by the Muslim Brothers (MB) on 14 August 2013, destroyed and damaged some 100 churches and Church-owned establishments. The Pope was taken to visit the Labib al-Sebaei Hall where the daily meetings of the editorial board are held, then on to the 12th-floor Al-Ahram Panorama where a group of al-Ahram prominent writers, guest writers, and columnists awaited him to engage in discussions. 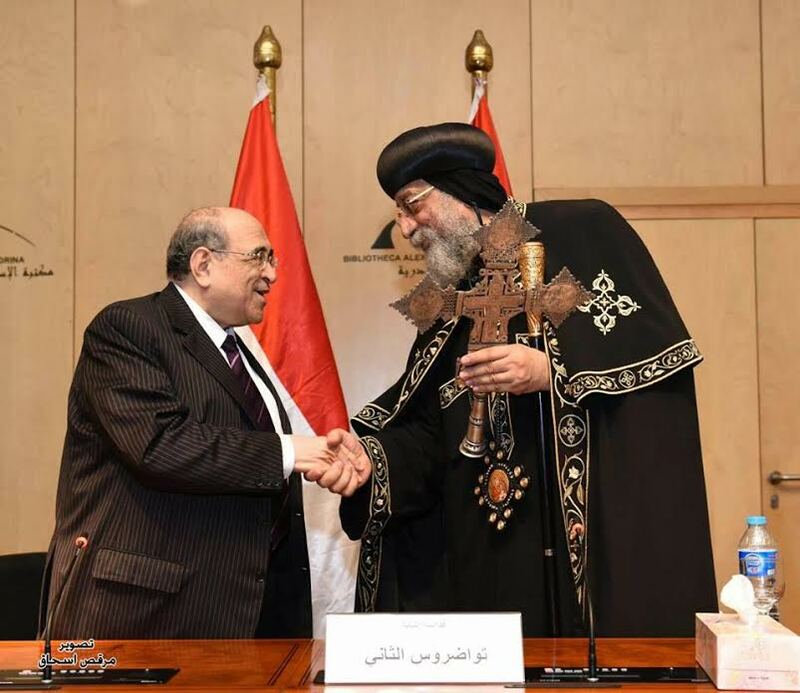 Mr Salama expressed his happiness at the Pope’s visit, and said that Al-Ahram foundation had long had deep ties with the Coptic Church and Egypt’s Christians. Makram Muhammad Ahmed, head of the national media authority, asked Pope Tawadros if Copts in Egypt are marginalised. “No doubt,” the Pope replied, “Copts have suffered growing marginalisation since the 1950s. But it must be said that the last five years saw attempts to revise that. 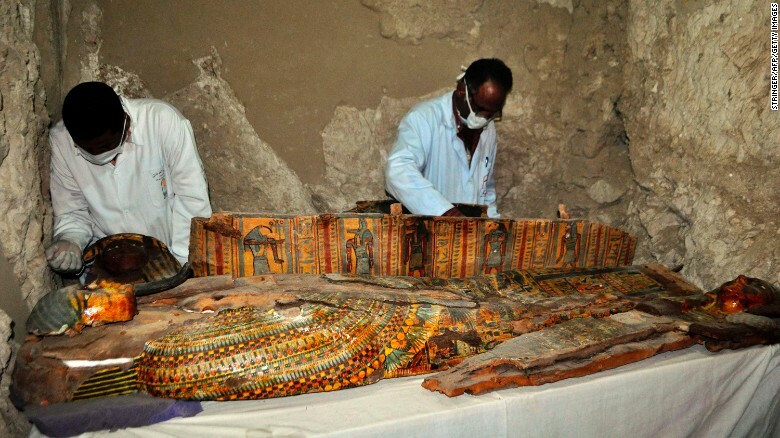 “We now have a law for building churches, the first ever in Egypt. The State and military have rebuilt the churches destroyed by the MB in August 2013. President Abdel-Fattah al-Sisi visits St Mark’s every Christmas to wish the Copts a happy Nativity Feast in person, something no head of State in Egypt ever did. Columnist Salah Muntassir said he believes that “sectarianism” is alive; hardliners, for instance, propagate that it is a sin to wish Copts happy feast. 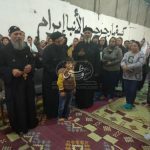 The Coptic Church does not work to familiarise the public with who the Copts are, leaving the floor to the Islamists to fill the void in their own way. The Pope replied by citing an incident that took place a few years ago. 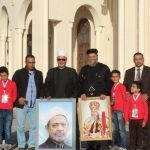 In an attempt to familiarise Muslim sheikhs with Coptic clerics, and given that the sheikhs are instrumental in forming public opinion about Copts, a three-day conference was held for some 40 sheikhs and priests. “One of those sheikhs later met me,” the Pope said, “and told me that he had been used to walk away form any priest he met on the street; that is, till he attended that conference. ‘Now I walk up to him and shake hands,’ he said.” This is how we hope to build relations of familiarity and brotherliness, the Pope said. 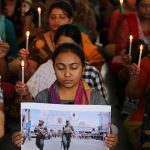 For his part, opinion writer Usama al-Ghazali Harb said that confronting extremist thought and discrimination against Copts was not the Copts’ responsibility, but rather that of Muslims who, as real patriots, ought to shoulder it. To a question by poet Farouq Gweida if the Pope thought that the time-honoured Egyptian tolerant personality has been disfigured, Pope Tawadros replied that he thought the current intolerance to be a “pollution of thought” not disfigurement of personality. An exchange of gifts and souvenir photos concluded the warm-hearted visit.